Have you ever written a comment that just didn't get as much attention as you thought it deserved? Maybe it's an impressive witty remark, an important editorial update, or a clarification for a controversial discussion. Well, now that comment you wrote can get noticed. Recently, we've added the ability for moderators to feature a comment, placing it proudly at the top of the comments section. Featured comments are a way to highlight pieces of the conversation. They’re a way to curate your discussion feeds by drawing the reader’s attention to a specific comment. It can be something that’s timely and relevant to the topic, a comment from a celebrity that you’d like to draw more attention to, or an insightful comment that could set the tone. You can feature any comment within the discussion. When you feature a comment, it will be displayed prominently at the top of the thread. 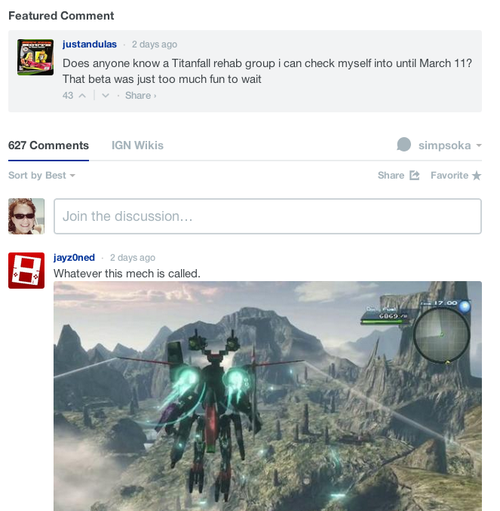 IGN used featured comments recently to help a community member find a rehab group for Titan Fall while he waits until March 11th for the game to come out. 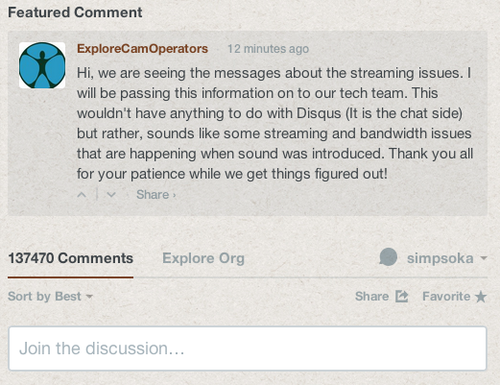 Explore.org recently experienced problems streaming. They used featured comments to let everyone know that they were looking into the issue and the puppy cam would be up and running soon. The controls for featuring a comment are located in the comment dropdown; this is the same dropdown that you use to moderate comments from within the thread. 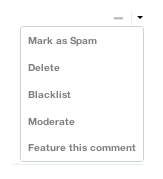 When you're ready to take your featured comment down, you can stop featuring it by using the same dropdown menu. Only one comment can be featured at a time, so be sure to stop featuring existing comments before adding another. We’re very excited to give you the ability to shape your discussions by featuring comments that inspire the best conversations. What would you feature? Let us know in the comments!